Steve Toll takes us down memory lane to the music that changed everything, including the nation and its society. The decade of the 60s gave birth to many genres, from Hard Rock to British Invasion, Surf Rock, Motown, and Folk Rock. 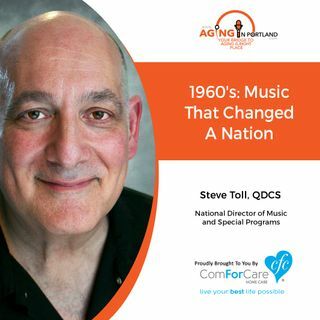 Today, this music still has a significant impact on Baby Boomers as they age in place — in the right place — a musical place.